Today’s post is dedicated to one of my dearest friends, Courtney. She always keeps me inspired to include color in my wardrobe and life with her beautiful smile and outfits. Getting dressed for work doesn’t have to be boring. You can infuse a bit of personality while looking polished and professional. 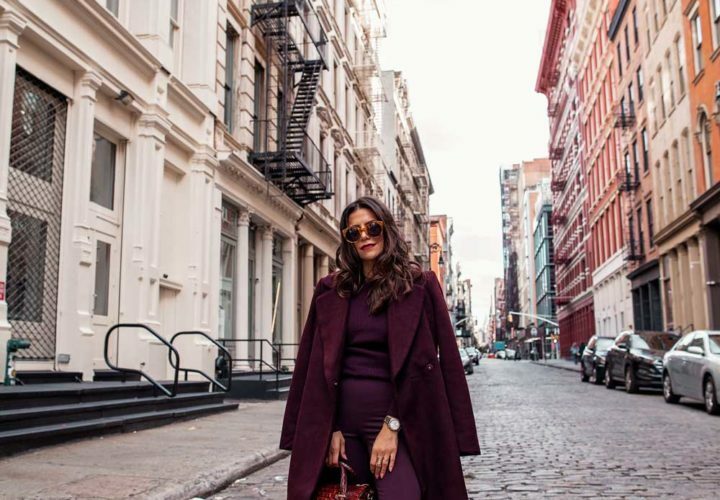 Here are 3 easy ways to wear color at the office. 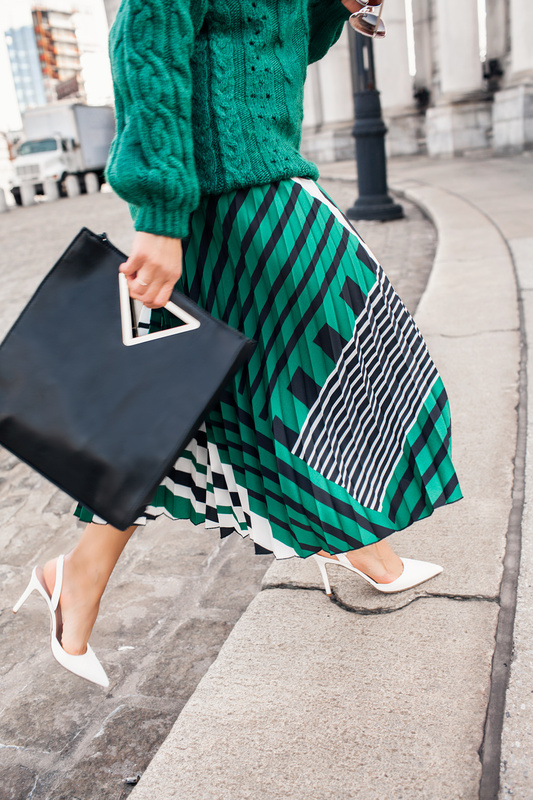 It’s no secret how much I love a great midi skirt. 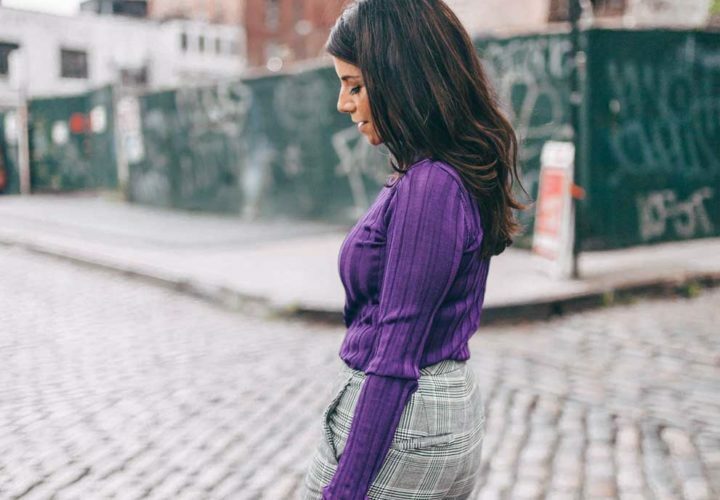 Pairing a midi skirt with a colorful sweater is an effortless way to add color to your workwear look. 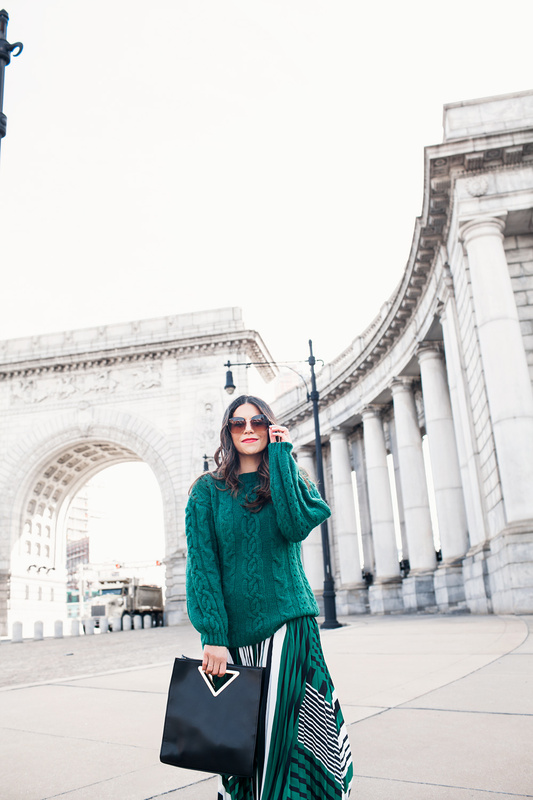 If you choose a midi skirt with a print pick a sweater that plays up one of those colors for a streamlined look. This is probably a look you could put together with pieces you have in your closet right now. If not, now is the perfect time to shop around for these items or find a little extra inspiration. This time of year is perfect for a great statement coat. It’s a simple way to put that perfect colorful finishing touch to your workwear look. Outerwear doesn’t have to always come in traditional neutral colors. You can go bold. 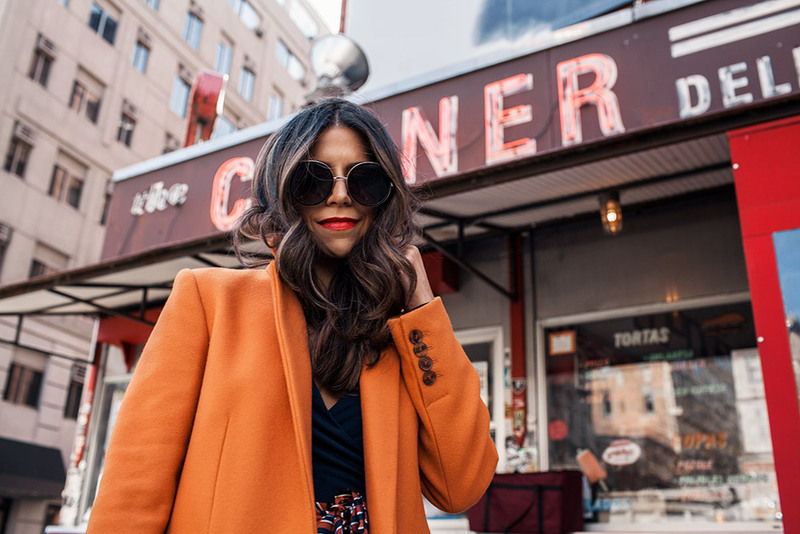 If you go with a colorful coat, go with a structured coat for your professional wardrobe. Fit is an important component in addition to the color. Monochromatic looks are polished and seemingly effortless. I even dedicated a whole post here to it. There are tons of colors to choose from. Fall has tons of rich bold hues to choose from. If you’re feeling uneasy about going with a head to toe colorful look, start with a color that makes you feel good. We all have that one color we feel best in. As your comfort level increases, you can branch out and experiment more. There are lots of ways to incorporate colorful styles at the office. I love black, grey and navy as much as the next person but workwear goes far beyond this color palette. Don’t be afraid to add a little extra color to your work wardrobe. For more workwear inspiration, follow Corporate Catwalk on Instagram. Love your colourful outfits! I wish more people did office looks!! Hi Angela! Thank you so much for stopping by, glad you like the looks. 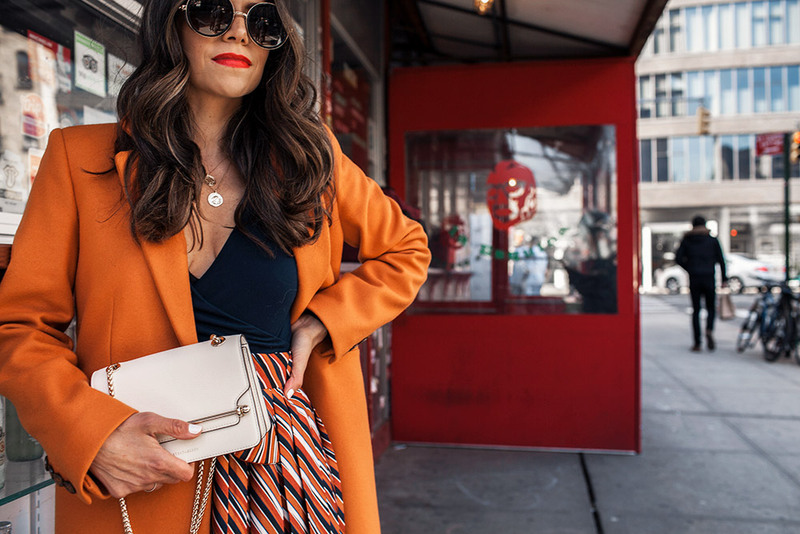 Wow, where is that beautiful orange coat from in your first photo? Excellent post!